They are grey-haired, retired, and have been riding public transport with a discount for ages and… they want to shine one more time! 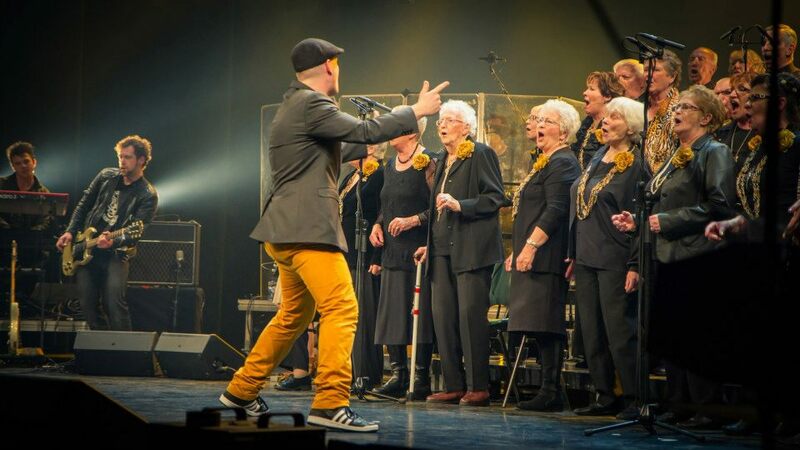 In Golden Oldies, host Ruben Nicolai and conductor Robin Brock assemble a choir of fourty of The Hague’s elderly citizens, to work towards a fantastic concert in Koninklijk Theater Carré. Say goodbye to feeling old, these choir members will blow you and everyone else off the stage with their rock music. They’ll give everything for what might be their last great adventure. Are the Golden Oldies prepared to sing rock music and will they be able to carry on for the entire adventure?